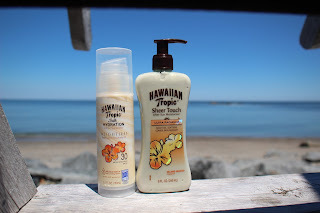 smilingrid: Hawaiian Tropic Sunscreen and After Sun Moisturizer Review! Hawaiian Tropic Sunscreen and After Sun Moisturizer Review! 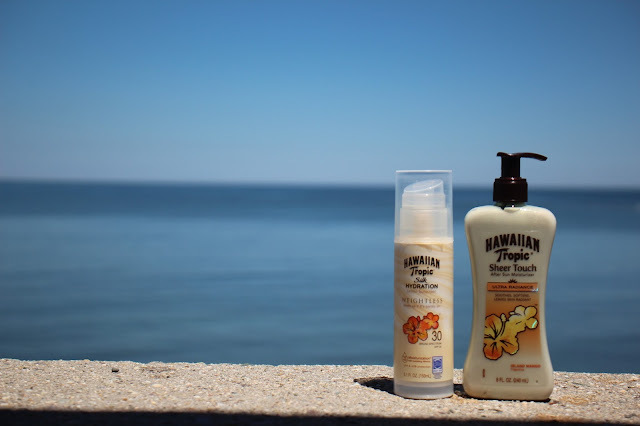 This post was sponsored by Hawaiian Tropic as part of an Influencer Activation for Influence Central. I received complimentary products to facilitate my review. 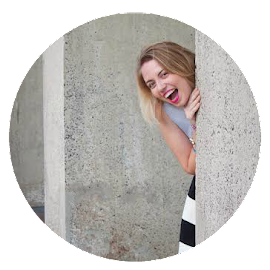 The best part about beach livening definitely has to be the ability to open the back door directly to endless fun in the sun! I've been practically living in my one piece bathing suit- literally, it might qualify as a second skin at this point- so that I can jump in the ocean or walk along the beach at the drop of a hat OR throw on shorts and flip flops for a biking adventure with the snap of some fingers. I am ready for anything from deck hang-outs to bridge jumping. The worst part of summer adventures? Burning my super pale and sensitive skin by forgetting to reapply sunscreen every FDA recommended 2 hours... Or just not wanting to and thinking I can get away with avoiding the sticky/greasy/heavy sunscreen for juuuuust a little longer. Being ready is not limited to my ability to transform a bathing suit into an outfit, though! While cute beach wear is pretty important, skin care is essential. 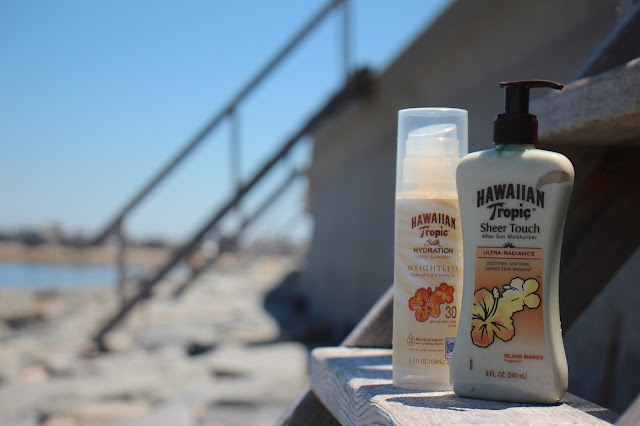 Luckily, I don't have to include gross gloppy sunscreen anymore! 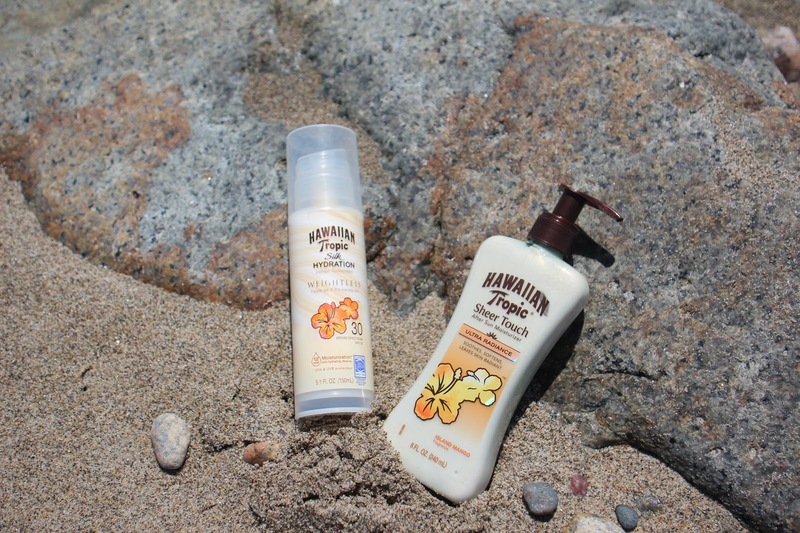 Hawaiian Tropic has crafted some absolute skin protection magic! Their New Silk Hydration Weightless Lotion Sunscreen comes in UVA and UVB SPF 15 and 30 (yessss for my pale friends!) and has ribbons of silk protein and Shea butter to leave my skin feeling suuuuper soft for up to 12 hours. The formula actually feels weightless (no false advertising/naming here!) and leaves my skin feeling moisturized and protected in one fell swoop. 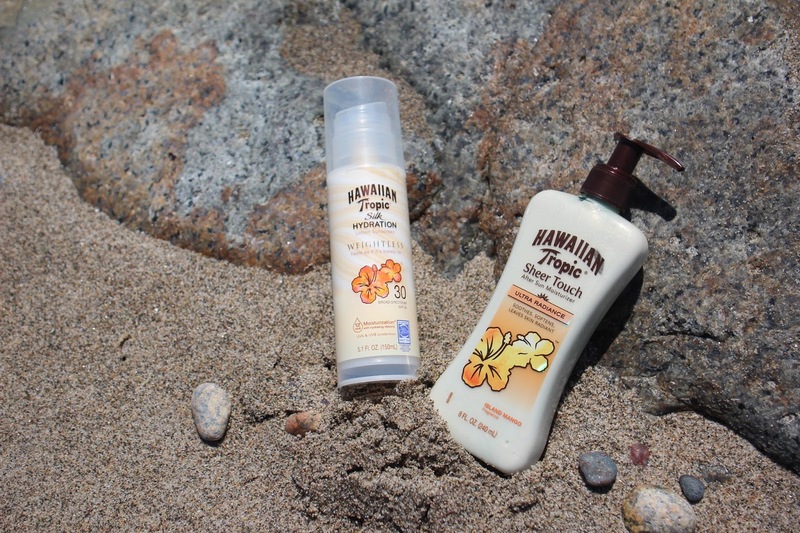 When my skin feels this happy with my sunscreen and my sunscreen smells this amazing (apparently exotic island botanicals are divine), I actually want to re-apply! 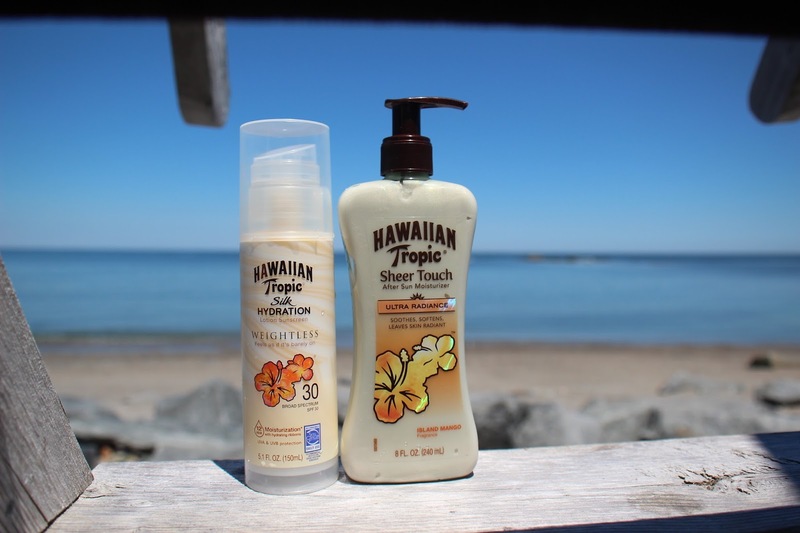 Thus, Hawaiian Tropic is protecting me both from harmful sun rays AND from my own stupidity when it comes to sunscreen application! AND THEN! 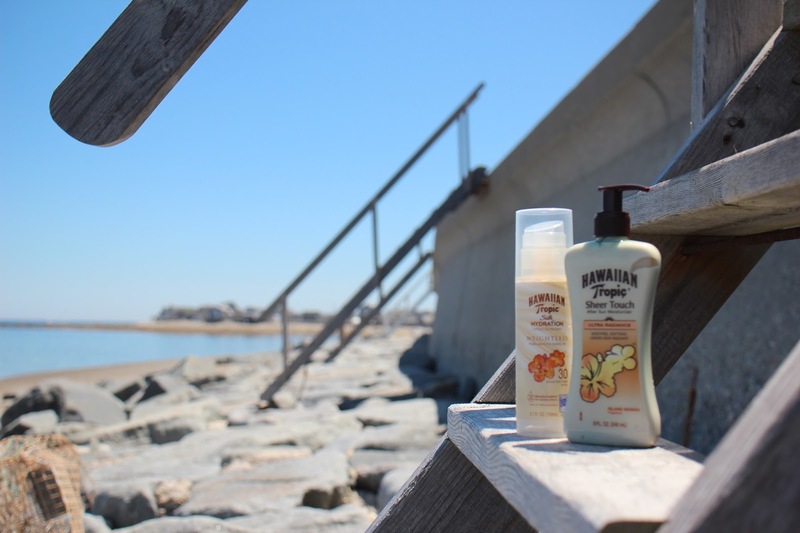 After a long day of sunny fun, you might feel a little salty (wether from ocean waves or sweat, I don't judge), a little brittle, maybe a little sun bleached? Hawaiian Tropic has an answer for that too! Their Sheer Touch Ultra Radiance After Sun Moisturizer is one of the first of its kind- soothing, softening and radiance-ing my skin with each pump of the bottle! 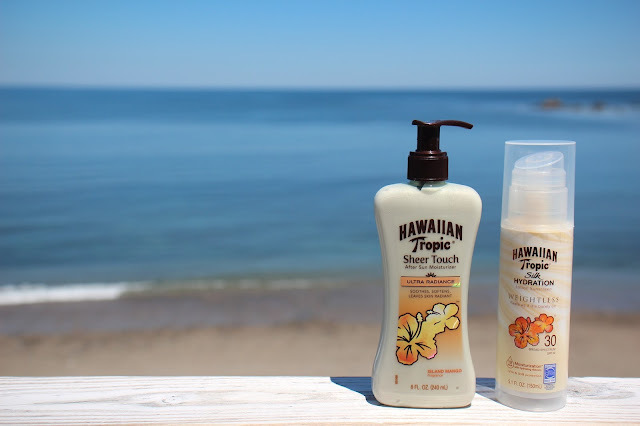 This one also smells amazing- different from the sunscreen because it features Mango extract in addition to the Shea butter! It's also got fancy pigments that reflect light in a way that makes my skin look glow-y to the max (like I said, magic)! 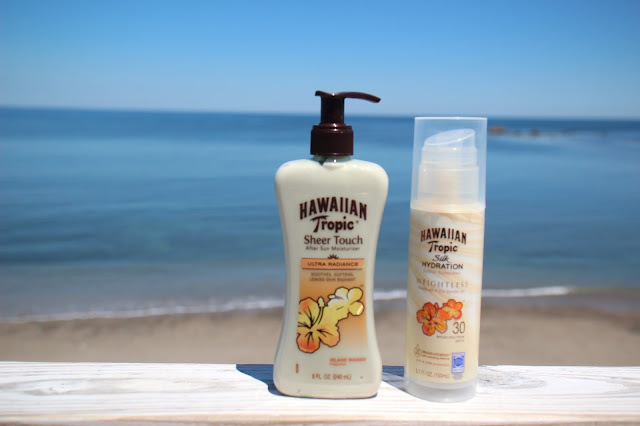 Basically, my skin has never ever felt this pampered, glow-y, and amazing... And it's all due to sun-care products! Who would've thought, huh? 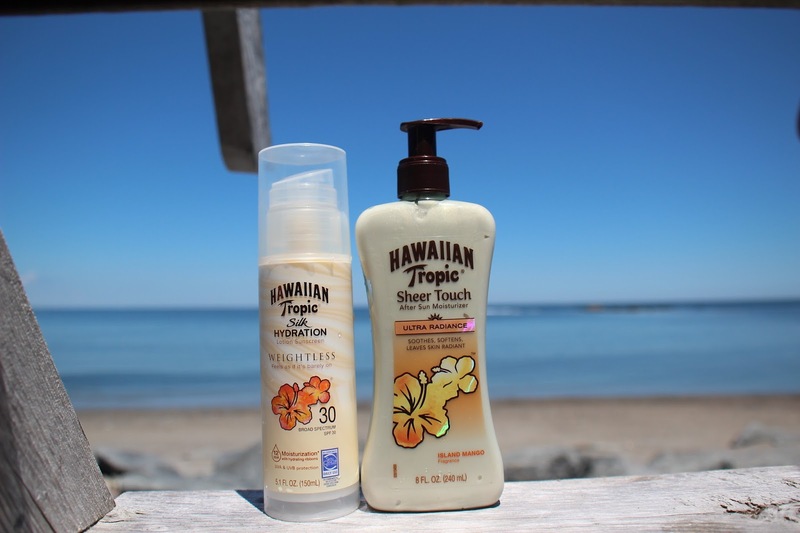 Here's the logistical bit: both the Hawaiian Tropic Silk Hydration Weightless Lotion Sunscreen and their Sheer Touch Ultra Radiance After Sun Moisturizer are available in mass, grocery, and drug retailers nationwide and online for $9.99 and $7.99, respectively!